While shooting a video with Click Click Bamf on the Hail-Fire, this small girl asks to use the Hail-Fire. And thats how I met Ferris, a pretty interesting 16 year old who took charge of the leadership roles amongst my group and eventually most of the human force. Ferris the first and only girl, as well as the youngest person in Camarillo game history to win the MVP award. I decided to interview her and try and get to know her more. Basic Nerf: Why don’t you tell the readers a little bit about yourself? Ferris: Ok well, my name is Ferris McIntyre and I am 16 years old. I go to Rio Mesa High School with my twin sister Natalie. I am pretty average girl with hobbies and am someone who likes to just have fun. In my experience HVZ is a great way to do that. I’m sure you get a lot of “Ferris Bueller” nicknames? I know that was my first nickname for you haha. Ever see the movie? Hahaha yes I have many times. And I plan on doing my own version of it for my senior year. Including the car. Haha oh gosh, be sure to bring Phil and Natalie along for the ride. So how does it feel to be the first, and so far only, girl to win the Camarillo HvZ MVP fan award? As far as I know, your the only girl to have won it. It feels amazing. I have always looked up to the MVP in the game and now that it is me I am very excited to go to more games and get even better at it. To help teach myself and anyone else who would like some help in the game. Being the first girl was just the cherry on top. A photo of game organizers Christopher (left) and David (right) role playing for the game. After I attended Day 3 of the Summer 2011 game, I was instantly hooked on HvZ. If you followed my preparation towards the game then I’m sure you’ve liked the content I posted so far. I’ve had the a great opportunity interview the game organizers for the Camarillo Summer 2012 HvZ game, David and Christopher. Tell us a little bit about who your are. David – My name is David. I have also lived in Camarillo my entire life. Chris has been one of my closest friends for as long as I could remember. I think that’s one of the things that makes us such a good team. I just got my Associates in Business and am currently working for a Bachelors at CSUCI. I’m a huge nerd and proud of it! Christopher – My name is Christopher, I’ve lived In Camarillo my entire life and with the exception of five of those years I have been best friends with my Co-leader David Casas. I am a history major with an emphasis in Religion at CSUCI and I hope to get my Teaching credentials within the next two years. I love singing and playing video games. 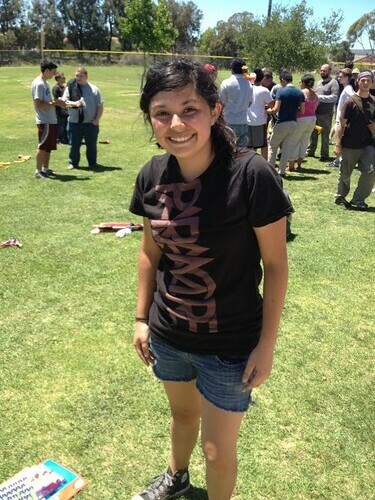 Can you tell us a bit on how Camarillo HvZ was started? David – Our friends Mike and John started it in 2008. It was a small but crazy game that laid down the foundation to further games. We didn’t really have boundaries, and me and Chris were one of the last survivors 7 hours into the game. Ever since then, we have had someone from our group of friends host the game while the rest of the group would help mod. We started doing it annually, then went to biannually when people demanded more. 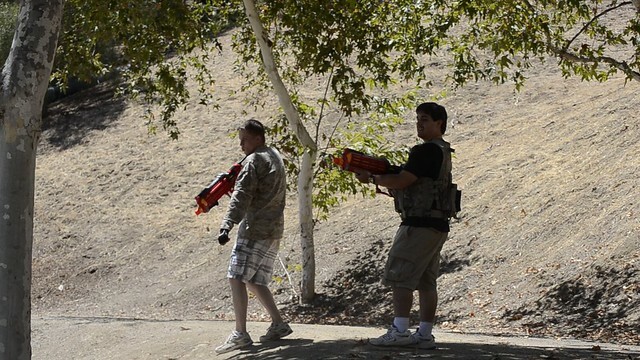 Christopher – HvZ was originally started in Camarillo by one of our good Friends Mike Groom and John Halter. That was back in the winter of 08 I believe and I am proud to say that David and I were able to survive right up until the end of the day….when the five remaining humans got stuck in a bathroom. I don’t think anyone realized back then just how big of an event this would become. It only took me about 10-15 minutes to sort it all out. It was Saturday night, and I needed to get my mind off things. So I decided to keep myself occupied and sort the darts. 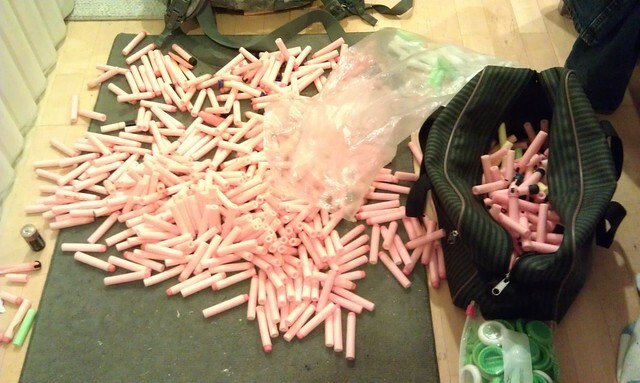 First, every dart that wasn’t a Streamline went into the stripped bag on the right. Then all the W,T, and E Streamlines went into the plastic bag, while all the K & As went into the stripped bag. The ratio of the bad to good Streamlines seemed about 4-1, but in the end I ended up with about 250 darts of the “good” coded ammo. My list of things to do for the game is getting shorter and shorter. 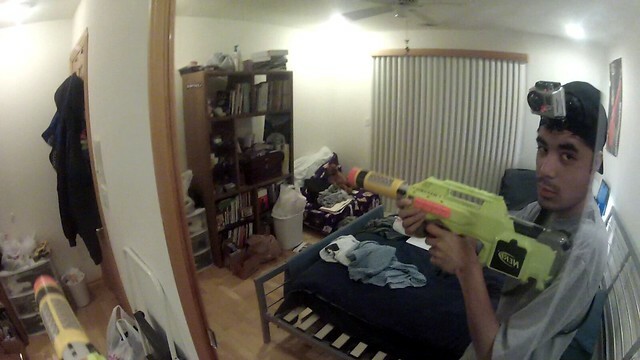 Next up I plan on showing everyone my Nerf War/HvZ loadout. Get Spectre barrel from other storage site. Test grouping between Recon barrel and Spectre barrels. Sort good darts from bad darts. W & T Streamlines for the win, remember? E Streamlines are ok.
Buy stronger voltage batteries, battery converter, case, charger, and multimeter from Chinese store (note to self, allow 3 to 4 weeks 3 to 8 weeks (usually 4) for shipping). One step at a time right? I was very fortunate and blessed to get this. I was planning on buying this in stores for the $300 price, so I borrowed $200 (he later asked for $60 back) from a friend and planned to pay him back. 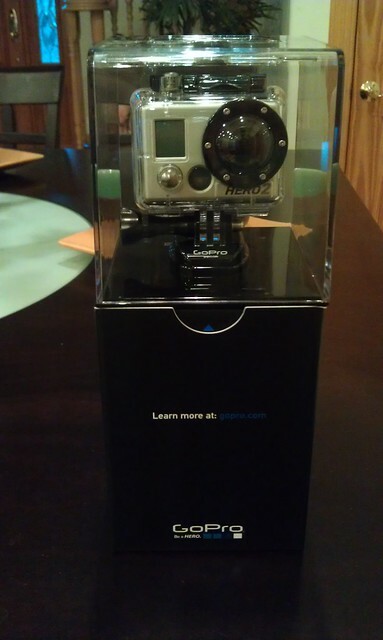 I held off on buying this for a bit, and then while checking craigslist I find a listing thats selling it for $250. I managed to talk him down to $240 (20% off the regular price) since I had to drive about 40 minutes to meet him and I had $240 in even bills. I meet the guy, buy the camera, and call up my friend. He says don’t worry about paying him back the money, and to consider it a late birthday present. I was only paying $100 of my dollars for the camera, plus his money. Since the debt is excused, I pretty much only paid $100 for it. When life is working for you, it’s a sweet, sweet thing. 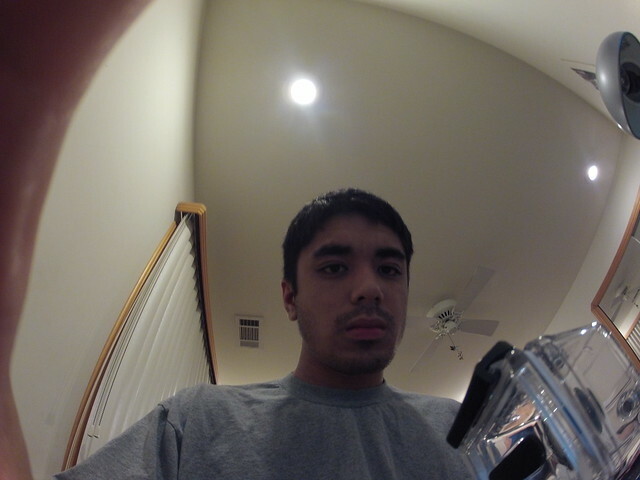 Gotta love the wide angle view. Trying to get the right angle for battle. And a peak at my messy room. The only thing I don’t like about it is that you kinda look like a goober with it on. Oh well, thats the price for good footage.